Labor Day has come and gone and that means it&apos;s time to track down the pumpkin spice, unpack the scarves and get ready for Fall! To get you into the spirit of the season, I have compiled a list of some of the best festivals in Loudoun from the Lovettsville Oktoberfest to Temple Hall&apos;s Corn Maze and everything in between. 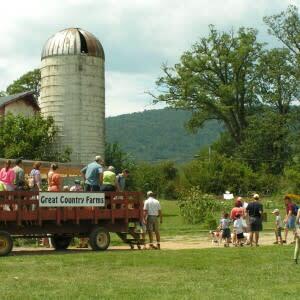 Celebrate harvest at the farm during the remarkable Temple Hall Fall Festival featuring six weeks of autumnal adventures at their beautiful farm in Leesburg. 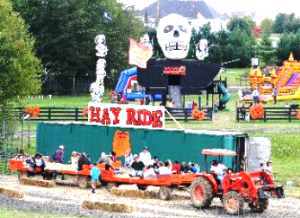 Bounce on the giant jumping pillows, see pumpkins and corn soar through the air from the pumpkin blasters and corn cannons, watch live music or pig races and don’t forget the famous 24-acre corn maze, which presents a unique trivia challenge and theme every year. You&apos;ll have to head over to find out for yourself. Get an inside look at Lovettsville&apos;s German heritage during their 24th Annual Oktoberfest on September 23. There will be authentic cuisine, live music, street performers, local beer and wine and so much more. Kick off the day with a pancake breakfast followed by the beer tapping ceremony. Head over to the Weiner Dog races to cheer on your favorite pup then shop your way through the 120+ art and craft vendors. 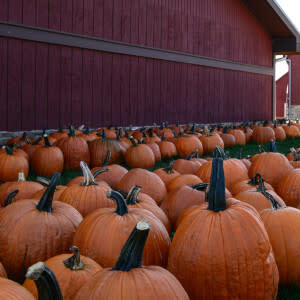 Bring the whole family to Leesburg Animal Park for their annual Pumpkin Village Fall Fest! This exciting festival opens to the public on September 16th and is held at the beautiful animal park facility in Leesburg. The Fall Fest features giant hill slides, wagon rides, pedal carts, moon bounces, petting zoos, pony rides and so much more! Come on the weekends for live music and entertainment, face painting and give the kids a taste of flying through the air on their own zip-line. There is plenty of old fashioned fun at the 48th Annual Bluemont Fair. Head to the village September 16 & 17 for traditionally juried crafts, local art and authors, craft and farming demonstrations, live blues and country music, the children’s fair, petting zoo animals like llamas and alpacas, quilting displays, historical encampments, the return of the Indian village, wagon rides, homemade food, baking contests, local wine and beer tastings and, believe it or not, lots more! Check out their website for all of the unique fun that is going on at this year’s fair. Ticonderoga Farms invites you to join them this September and November for their Amazing Farm Fun Fall Festival! This festival has fun for the whole family where you can hand pick your own pumpkin, go through the spooky fun zone, take a hayride through the farm, feel the wind in your hair as you travel down the hillside slide, meet and greet with farm animals at the petting zoo, test your skills in the maze and lots of other activities and fun sites for everyone to enjoy. The Waterford Fair is truly a fair like no other. This historic festival in Loudoun brings thousands every year to get a glimpse into what the Village of Waterford is really like. Take advantage of the opportunity to tour historic homes in the area, watch juried artisans demonstrate the techniques of traditional craftsmanship, take a tour of the Old Mill and vintage barns that have been transformed over the years into galleries for paintings and other vendors. There is something for everyone to enjoy at this year’s fair with live entertainment, children activities and more. Check the website for more information. During the month of October, make sure to visit Great Country Farms in Bluemont for their annual Fall Pumpkin Harvest Festival. Make sure to heed their warning very carefully. They stress that they are “not responsible for overly happy families” and to “visit at your own risk”! It’s easy to get caught up in the fun during this unforgettable experience picking pumpkins, cheering on the fastest piggie, getting lost in the corn maze (it’s more fun than it sounds I promise) and meeting the regal Pumpkin Princess. Check out the full schedule of activities on their website.